January is almost over, and San Francisco’s Game Developers Conference, along with its accompanying indie games summit, the Independent Games Festival, are both approaching rapidly. In preparation for these huge events, I felt it would be appropriate to recap some indie-related happenings from the past few months that have gone unreported here on TVGB, as well as bring everyone up to speed on the latest IGF news. Read on as we wrangle the above headlines and more in this week’s Indie Round-Up. Tyler Glaiel and Jon Schubbe’s IGF-nominated Closure is first on the list this week. The innovative and stylish puzzle platformer has received its first trailer, which gives us a good look at some of the game’s clever light-centric puzzles. Closure is up for three IGF awards this year, including Excellence in Audio, Technical Excellence and the Nuovo Award for Innovation. Best of luck to Tyler and Jon in the competition. Anthony Carboni from Revision 3’s Bytejacker had a chance to speak with a ton of indie game developers last month at Blip Festival, New York’s annual chiptune extravaganza. In the show’s latest episodes, Anthony chums around with indie heavy-hitters like Canabalt‘s Adam Atomic, Chris Osborn from Gaijin Games and a very excited (and intoxicated) Phil Fish from Fez developer Polytron. We also get a look at the making of Gaijin and Robotube’s collaborative game, Bit.Tonik, which was created in 24 hours during the festival. Check out the last two episodes of Bytejacker to see all this, along with some amazing Blip Festival concert footage. 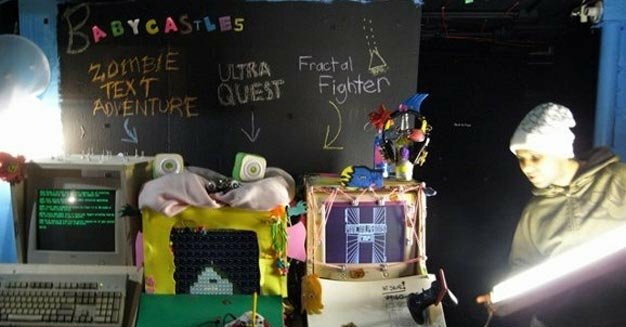 Speaking of Blip Festival, one event which preceded New York’s massive chipmusic gathering (and received virtually no press) was the opening of Babycastles, a brand-new indie games arcade situated in the back room of a music venue in Ridgewood, Queens. 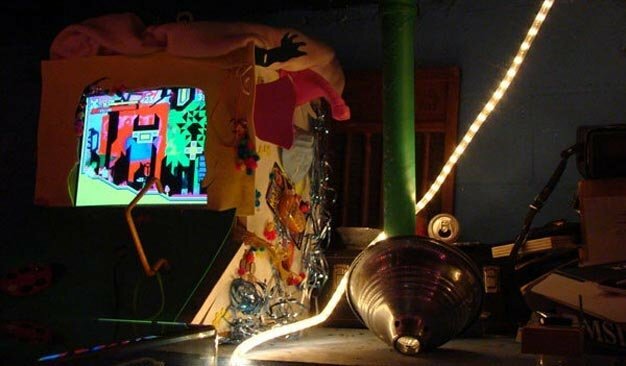 Present at the opening ceremonies were a large group of local and international game developers, showing off their games inside oddly-decorated DIY arcade cabinets. Among the exhibited were Adam Atomic (Canabalt), Tristan Perich (Killjet), Cactus (Fractal Fighter), Ivan Safrin (Owl Country) and Kyle Pulver (Jottobots). You can play these and other fine games free of charge during Babycastles’ opening hours. See their Facebook page for more details. The IGF is unveiling the first details on this year’s Indie Games summit at the Game Developers Conference. Some notable speakers that have been announced include 2D Boy co-founder Ron Carmel (World of Goo), Thatgamecompany’s Kellee Santiago & Robin Hunicke (fl0w, Flower) and Slick Entertainment’s Nick Waanders (N+). Schedule and details will follow, so keep your eyes peeled on the IGF homepage if you’re planning on making it to the conference in March. The IGF also announced the winners of its Student Competition this week. 10 winners were picked from the record-breaking 190 student entries that comprised this year’s competition. “We’re delighted to see the IGF Student Showcase continuing to highlight some outstanding student-created titles from all over the world,” said IGF chairman Simon Carless. “Congratulations to all the winners, and we’re very much looking forward to showing them to the public at Game Developers Conference this March.” Each of the winners will receive a $500 cash prize and a free pass to GDC. They will also go on to compete for a ‘Best Student Game’ award, which will net the lucky winner a trophy and an additional $2,500 cash prize. Remember to stay tuned for news on the IGF Mobile competition, which will announce its winners by the end of the month, and as always, keep your eyes peeled here for more Indie coverage throughout the week.